Dawn spacecraft obtained this image on July 17, 2011. 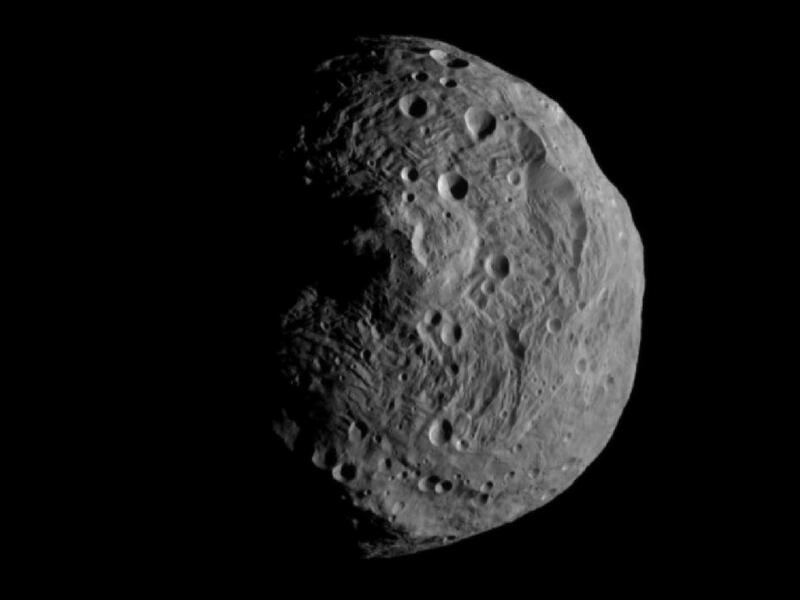 NASA's Dawn spacecraft has returned the first close-up image after beginning its orbit around the giant asteroid Vesta. On Friday, July 15, Dawn became the first probe to enter orbit around an object in the main asteroid belt between Mars and Jupiter. The image taken for navigation purposes shows Vesta in greater detail than ever before. When Vesta captured Dawn into its orbit, there were approximately 16 000 kilometers between the spacecraft and asteroid.